Buy Into The Spine a Coffee. ko-fi.com/intothespine - Ko-fi ❤️ Where creators get paid by fans, with a 'Buy Me a Coffee' button. Into The Spine is about the stories around video games and what they leave behind, with a strong focus on supporting new and established freelancers equally both in networking and by commissioning original work. Secured Payments. 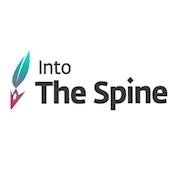 Support goes to Into The Spine's account. Upgrade Into The Spine to a yearly Gold Membership with a one-time payment.